Bella Forcella: I Am 2!! 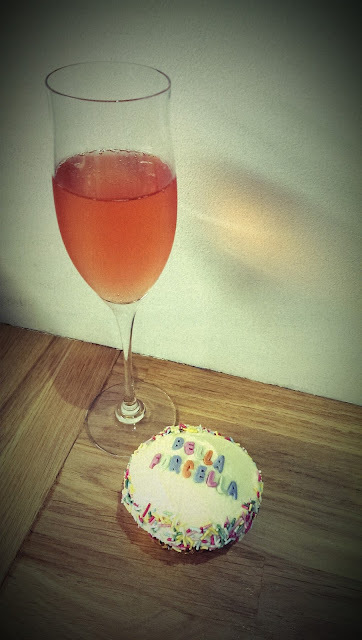 Two years ago today at 10.39pm I published my first ever Bella Forcella blog post. I had been wanting to start my own lifestyle blog for nearly a year before I actually gathered together the courage to create my "Blogger" account. I was looking for a creative outlet and as I had always wanted to be a writer, a blog seemed the perfect place to explore further my love of beauty, food and interiors. I genuinely love writing this blog - I get such a buzz as I create my posts and I hope that you enjoy reading them. I'm so excited about the possibilities of where I can take Bella Forcella and how I can grow it. Thank you so much for reading my thoughts on life, following my lunching adventures and trying out my recipes over the past two years. I truly appreciate every single page hit, post comment and Twitter, Facebook & Instagram follower. I'd love to know what you think about Bella Forcella - what has been your favourite post? Is there anything in particular you would you like me to write about and what kind of posts would you like to see in the future? Again, thank you so much for supporting me so far - here's to the next 2 years! !